Isn't this a cute award? I received it from ARIPI DE FLUTURE. She has awarded me on her munte- mountains post. She has a beautiful blog with beautiful pictures. Check it out! Showcase this award on your blogs. Simply copy this picture on your side-bar, and link it to my blog. If you know any good blogs, you can pass it on just like me! Very cute award to all of those wonderful picture takers. They are so talented. Wonderful! Congratulations! You deserve it. Bhavesh, I didn't even look for my name and then was going to click on some so I went back. Thank you for the award. I didn't think I should be included in such a talented group. Also Congratulations on receiving award. Congrats on this award. I am humbled that you would include me in this awesomely talented group, and I thank you. I look forward to going through your list and checking out as many of these blogs as I can! Oh!! Thanks a ton Bhavesh. Its an honor to be included among so many awesome bloggers. Thanks for including me in your list, so hence forward I am know as a scribbler. Have a great day. Thanks for the award Bhavesh and well done on receiving it. Keep up the good work. Well aren't you a generous soul!!! Not only with your photos but sharing your laurels as well! Hope your new shop is going well -- your photographic work is just divine. So sorry Romicas for missing you in the award list; you sure deserve it. Please take it! Sorry Renata Maria for missing you in the list. Please take it and showcase it on all your blogs. Never mind! Yesterday, I received the award from Regina Coeli, nick Deusa Odoyá. I put it in my movie blog. I guess Prerna, you've not noted that the award is for your blogs too! i request u to please add my name Tripat "Prerna"
• In the layout section, click on "Add a Gadget" on the sidebar. • Put the following code and save. And Prerna, I didn't understand your "name point". Do you want your name to be put as "Tripat Prerna"? thanks for changing my name.. It's all my pleasure Chandrika :) Thanks for accepting. 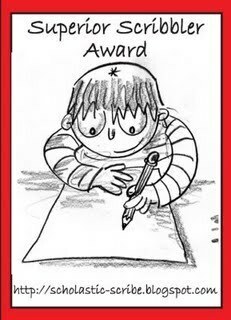 That's a very cute award, Bhavesh! Congratulations on receiving it, and thank you kindly for passing it on to me. Have a beautiful weekend!! Bhavesh, Congratulations on the award, your blog deserves it. Thank you so much for including me in your list of talented bloggers. Thank you Bhavesh for including all 3 of my blogs, I have placed the award on my Other Blog for friends family and our cat. Sorry I am slow getting back with you, but have had a little computer problem. When I received your always welcomed comment and saw you had included me in that elite group, it made my day much brighter. Thank you very much for this special award. I am honored. I trust your new venture is going well for you. You are such a sweetheart, Bhavesh. THANK YOU. That's Fantastic Vagabonde! I just looked at it :) I'll put a comment in that post giving this URL. Thank you very much for sharing this award with me. Thank you for the award! If you have pictures on any of the species that I have mentioned in this post do let me know, I'll happily link them to you. Am also planning to do a post on http://saveourtigers.com/ If you have any related posts or pictures, let me know, will happily link back to you! From the birds you have mentioned in your birds nest post, I have a photo of a drongo and an egret. I've not published the drongo yet, but I've published the egret here. You may link it. Congratulations for receiving the award! I agree with you, it is cute. I don't know how I missed this post! COngratulations for this award. The drawing/caricature looks cute!